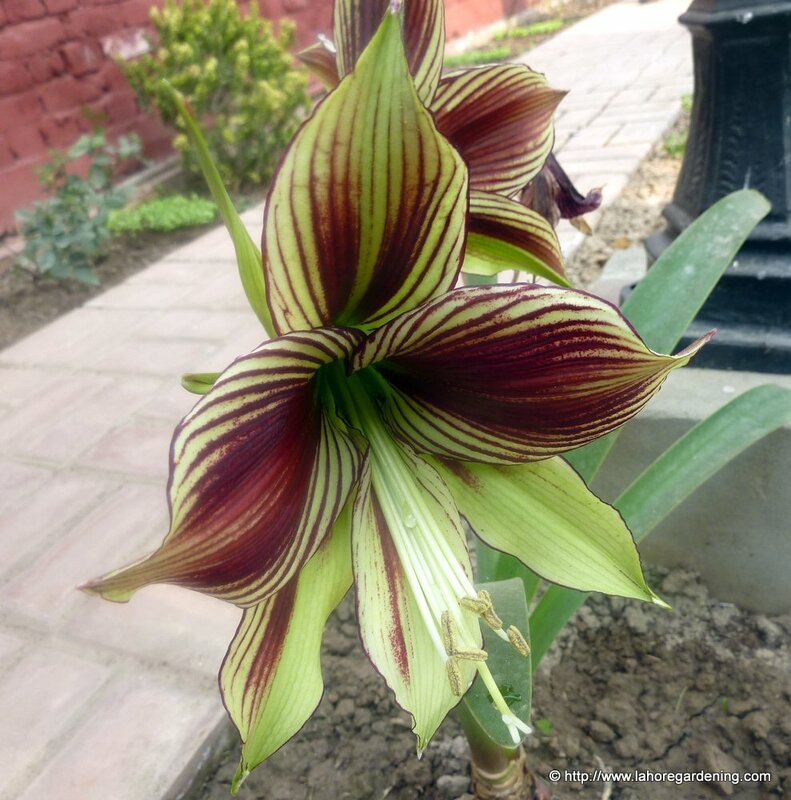 Ltt me show you Amaryllis(hippeastrum) forced blooms. 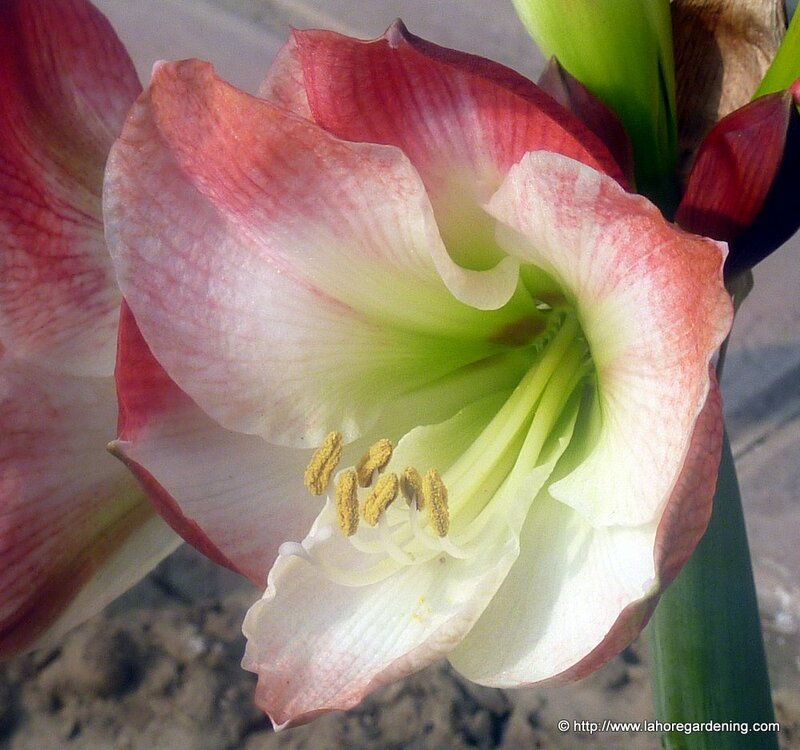 Amaryllis(hippeastrum) naturally bloom in spring here and these flowers shown below are forced blooms. 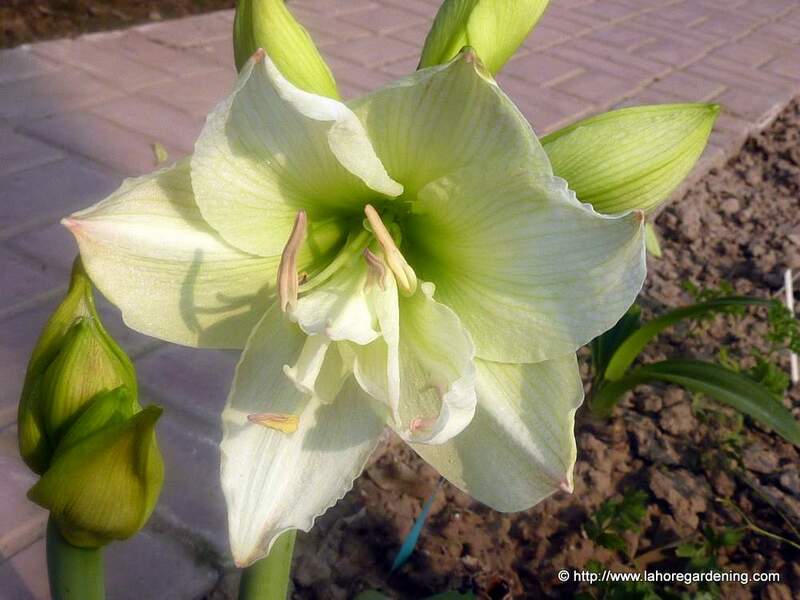 These are not grown by me, but an expert gardener of lahore, Dr. Amir yar khan. These shots are taken from his lawn. Enjoy the flowers. i especially love the last one. gorgeous color! Spectacular! 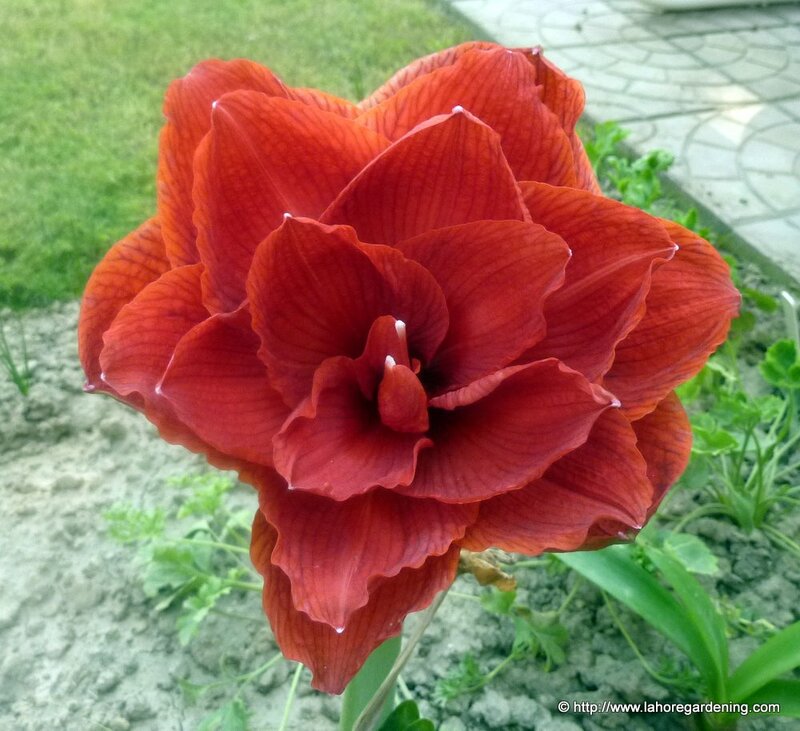 Amaryllis bloom here in deep south USA in fall and spring. I have a number of bulbs in my yard, but this year they had not bloomed. Thanks for sharing. Wow, amazing! That second flower is hard to believe. Glad you’re sharing the photos. Oh, that second one is so unusual! And the last is so pretty and frilly. Happy GBBD! Lush and luxuriant – Wow! 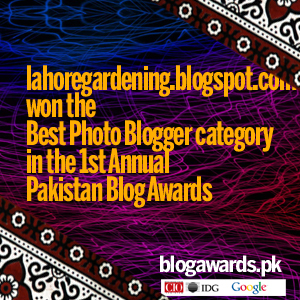 These are beautiful images and blooms. I only enjoy amaryllis at the botanical gardens unfortunately.